Mark Upham CEO of Brough Superior and the man behind the brand new, up-to-the-nanosecond, in-yer-face SS100 that was unveiled today (5th November 2013) at the EICMA Motorcycle Show in Milan, Italy. This 997cc bespoke motorcycle (think Saville Row) has been years in planning and development by Boxer Design in Toulouse, France and Akira Design right here in the UK. Upham has been quoted as saying, "Our goal is to be the number two motorcycle manufacturer in the UK", which is fine, but depends on whether you're talking about quantity or quality (no disrespect intended to Triumph). Clearly, the bike has numerous Brough-Superior design cues, in this instance taken from the 1926 Pendine SS100 racer. The front fork, although a girder unit, is CAD designed and developed and is no doubt perfectly capable of providing the kind of control and handling demanded of a machine of this calibre. Ask BMW. What it all means is that anyone previously accusing Upham of living in the past will now have to accuse him of living very much in the future. But is the world ready for a new Brough-Superior? We can see opinion splitting into two very distinct camps, but the launch of this bike will do little or nothing to dent the Brough cachet. If anything, we suspect that it will simply fuel desire for the brand—provided that this new SS100 has the kind of performance and build quality that warrants such a price tag. But SS100? Surely it needs to be SS200 now? That aside. what we all want to see now is the manufacture of these motorcycles returned to Haydn Road, Nottingham where the story began. And yes, we know that's kinda silly and sentimental. 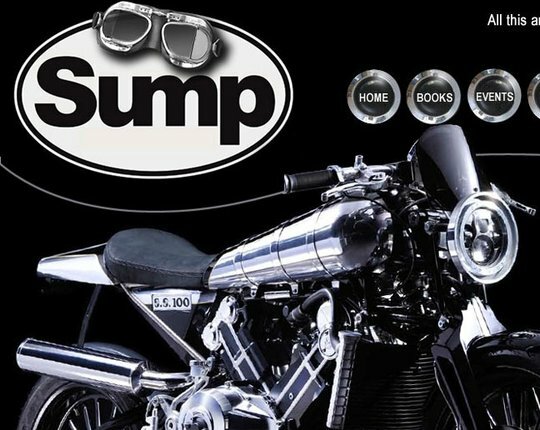 But although we're as tough as crankshafts on the skin, on the inside we're as soft as Hylomar, and we'd be very pleased to see the Brough-Superior project come all the way home. Pricing update: We spoke today (25th Novermber 2013) to Albert Castaigne, Executive Director and Project Manager for the new Brough to check the price of this bike which, to us, seemed way too high. Albert explained that there has indeed been much pricing confusion and misinformation which needs clarifying. Albert advised us that the basic price for the Brough is €49,000, plus taxes, plus shipping, and quite probably plus extras. Consequently, the final price is likely to be above €60,000, but naturally enough there's no upper cap.